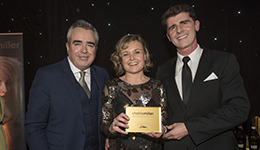 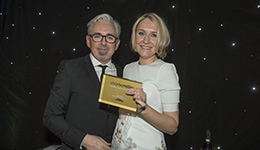 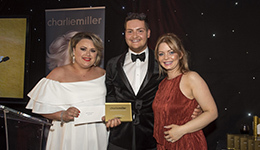 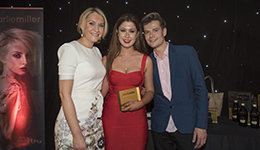 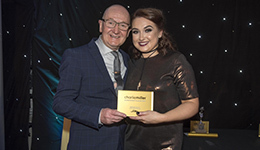 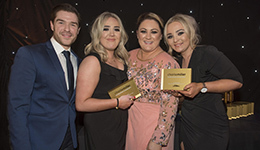 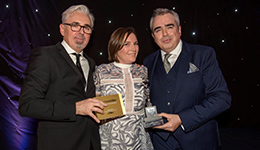 Love and happiness spread like wildfire at this year’s Charlie Miller Achievement Awards Presentation Dinner as the teams from all 5 salons gathered to celebrate success and achievements in a night of glitz, glamour & awards. 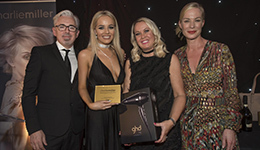 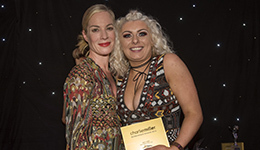 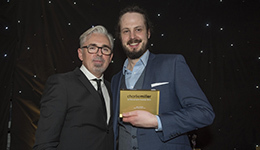 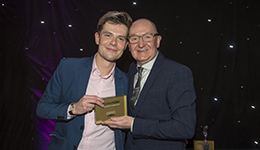 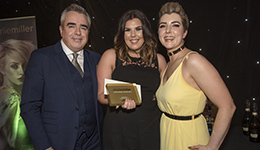 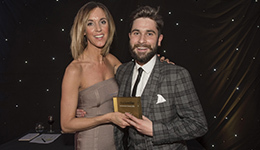 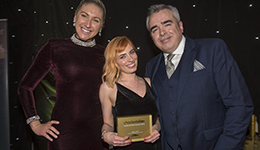 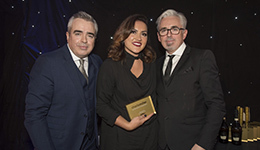 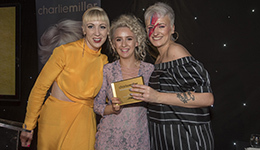 From Trainee Stylists of the Year to Outstanding Hairdresser of the Year, the company gave out 29 Awards to recognise and rewarded the hard work, commitment and dedication shown throughout 2016. 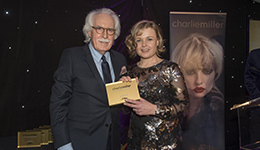 Presented by Charlie Miller Directors and Managers along with representatives from L’Oréal Professional and ghd Professional this highly glamorous annual event was held at the Radisson Blu on Edinburgh’s Royal Mile on Sunday 5th March and hosted by award-winning Radio and TV Presenter, Grant Stott. 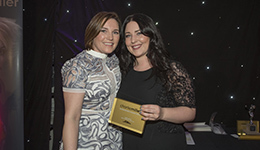 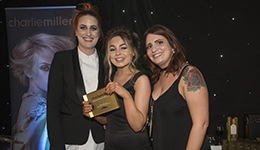 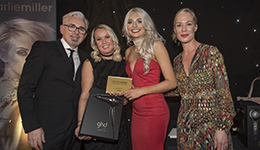 The biggest win of the night, the Grand Prix Award for ‘Outstanding Hairdresser of the Year’, was announced and presented to Holy Corner’s Salon Manager, Amber Swift whilst, Ocean Terminal’s Salon Manager, Cat Nicholson was presented with a diamond ring in honour of her loyalty and support over the past 20 years. 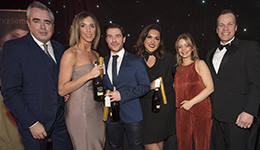 The evening comprised amongst other things of a pre-dinner drinks reception, a 4-course meal and a tombola prize draw with 36 spectacular prizes followed by dancing into the small hours.